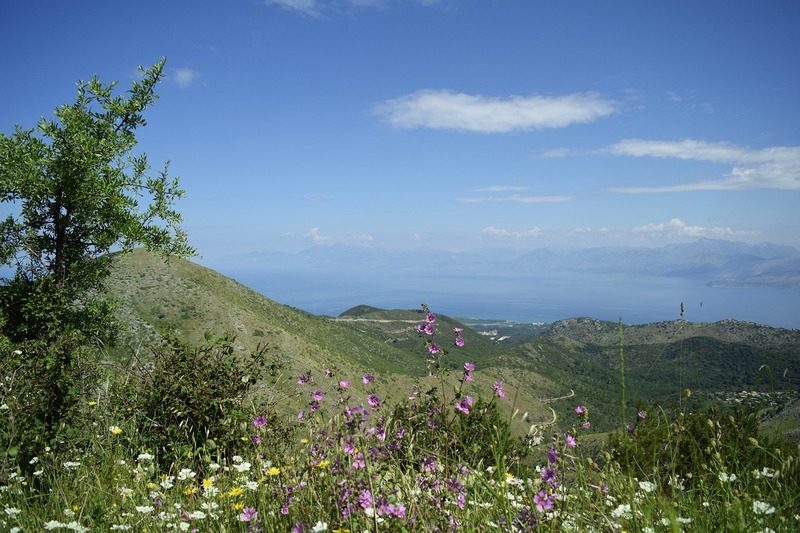 Visitors and settlers have been delighted by the green and pleasant island of Corfu for thousands of years. It was already a popular holiday destination in Roman times, and today it is one of the busiest spots in the Mediterranean. The Greek name for Corfu is Kerkyra. According to one tradition this derives from a nymph named Kerkyra or Korkyra, brought to the island by the sea god Poseidon who was in love with her. Another possible derivation is from the Greek kerkos, meaning ‘handle’, referring to the island’s shape. Corfu has also been known as Drepanon or Drepani, meaning ‘sickle’. The English name Corfu probably comes from the Greek word korifai (peaks), as a twin-peaked citadel once stood on the site of Corfu Town. The name was corrupted into Corfu by European settlers, and this is now how most of the inhabitants refer to the island themselves. 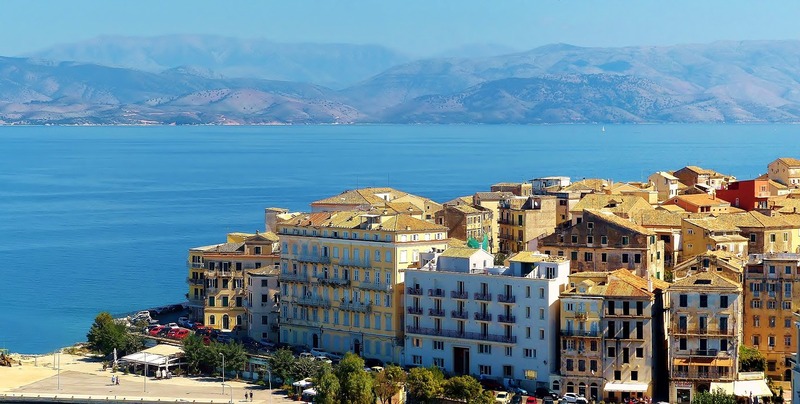 Corfu has a population of just over 100,000, packed into its 593 sq kms (229 sq miles), making it one of the most densely populated parts of Greece – and that’s without the annual impact of almost one million visitors. Nevertheless, such figures are misleading, as about 40% of the population lives in the capital, Corfu Town. Corfu has some 217km (135 miles) of glorious coastline for visitors to enjoy, and the vast majority of these shoehorn themselves into a handful of bustling seaside resorts, so escape from the crowds is still possible. And though few coastal villages are totally untouched by tourism, some have not yet been taken over by it. What has made Corfu so popular? 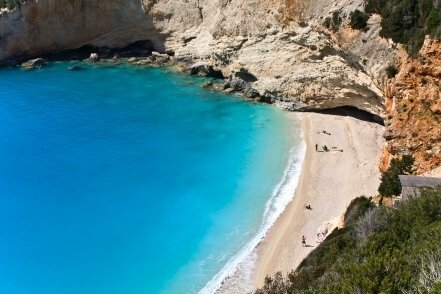 For one thing, it can boast some of the best beaches in Greece. 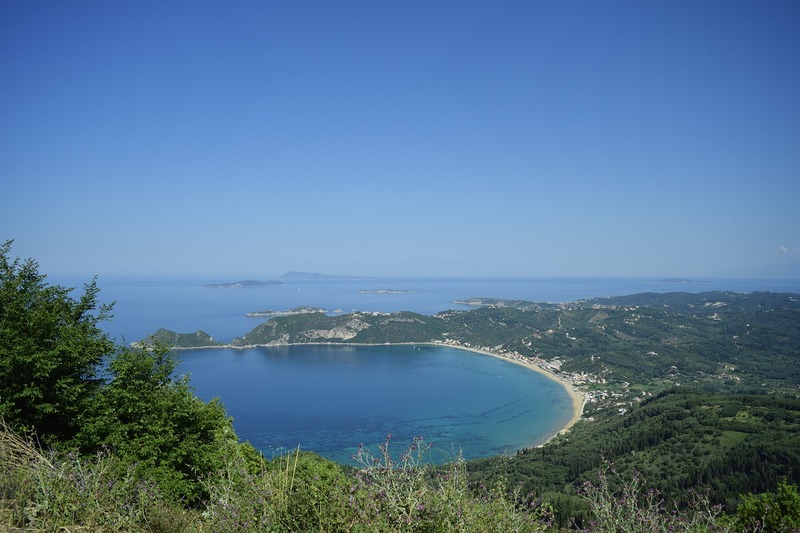 Its climate is warm for most of the year and regular rainfall makes Corfu an unusually green Mediterranean island. The scenery is outstanding, with the north dominated by the majestic slopes of Mount Pantokrator, and the people possess the traditional Greek friendliness (in Greek the word for ‘stranger’ and ‘guest’ is the same). Inland are hillside and mountain villages where life goes on much as it must have done a hundred or even a thousand years ago. And finally, Corfu Town is probably the most attractive capital to be found in any of the Greek islands.